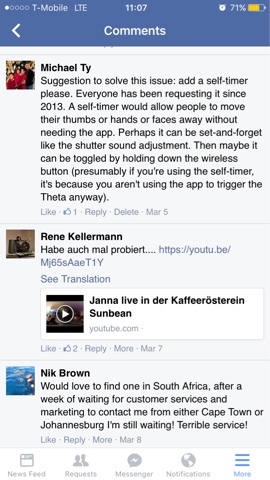 After years of users’ requests, Ricoh is FINALLY adding a self-timer to the Ricoh Theta via a firmware update! The self-timer is toggled via the wi-fi switch. The default timer is 5 seconds but can be changed via the app. This is EXACTLY what I suggested to Ricoh a few weeks ago! Anyway, to update the firmware, you need to use the desktop app. Here are Ricoh’s instructions.